Rie Nakajima è una artista giapponese che vive e lavora a Londra. 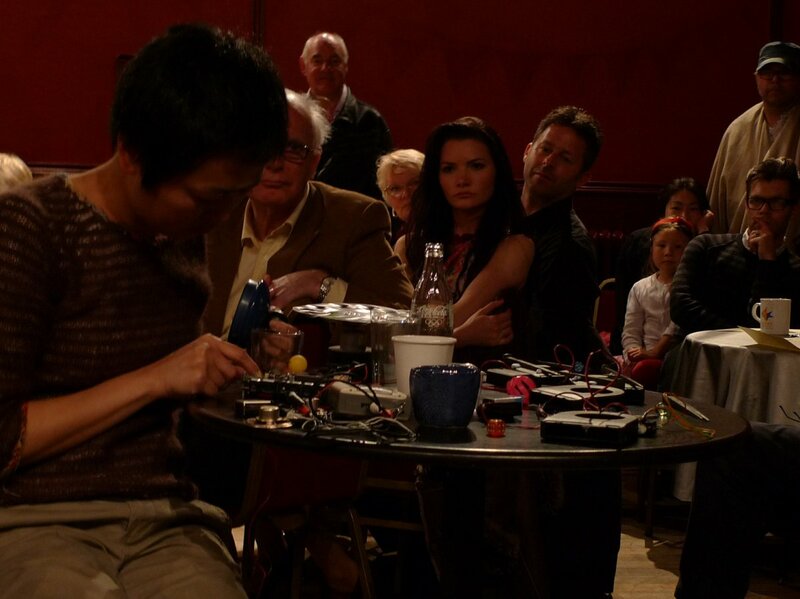 Nel corso degli anni, ha collaborato, fra gli altri, con David Cunningham, Miki Yui e David Toop, con cui cura la serie di performance Sculpture: Rie Nakajima and David Toop invite... Il suo lavoro è stato recentemente presentato alla South London Gallery (Londra), al Festival Tuned City (Bruxelles), al Counterflows Festival (Glasgow), alla Paul Stolper Gallery (Londra) e alla galleria blank (Torino). Fra le sue mostre personali: Carpet, The Silence Between, Paul Stolper Gallery, Londra; I Can Hear It, Soundfjord, Londra; pun∼q', Quare, Londra; Unwind, Void+, Tokyo. Nakajima ha studiato Storia dell'arte ed Estetica alla Tokyo National University of Fine Arts and Music e scultura al Chelsea College of Art and Design e alla Slade School of Fine Art di Londra. Attualmente è artista associata al Cafè OTO, Londra. Rie Nakajima is a Japanese artist, lives and works in London. 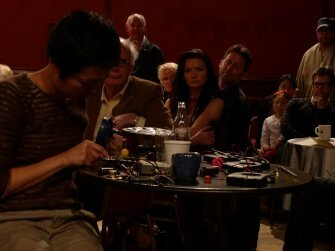 Nakajima works with installations and performances that produce sound. Her works are most often composed in direct response to unique architectural spaces using a combination of audio materials and found objects which develops out of sculptural questions. She is the current associate artist at Café OTO, London. She has collaborated with David Cunningham, David Toop, Miki Yui and some other musicians and artists. She studied art history and aesthetics at Tokyo National University of Fine Arts and Music (BA), sculpture at Chelsea College of Art and Design (BA) and Slade School of Fine art (MFA). She has exhibited widely, both in the UK and overseas.